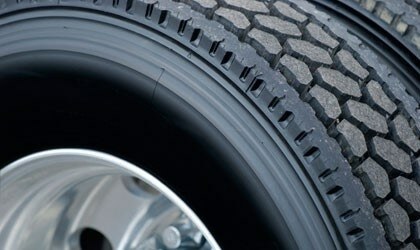 The tread of the tire is in direct contact with the surface of the road. The tread formulation and the design of the tread pattern are therefore decisive factors for most tire properties such as low rolling resistance, good wet traction and high resistance to abrasion. The ingredients of the tire tread have a significant impact on these properties. These are investigated using various thermal analysis techniques. The most important effects that can be analyzed by DSC are the melting point, melting range, and melting behavior. DSC is also used to determine the heat of fusion, the glass transition, and oxidative stability. TGA measures weight changes. The main applications of TGA are content determination, thermal stability, decomposition kinetics, and compositional analysis. DMA is used to determine the modulus and damping behavior of materials. It allows tire properties such as rolling resistance or grip behavior to be directly predicted.